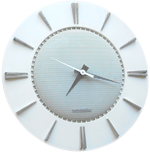 This space age offering from Rittenhouse packs is a door chime and clock with a most appropriate name. A space-age design with the lines of a flying saucer or satelite. 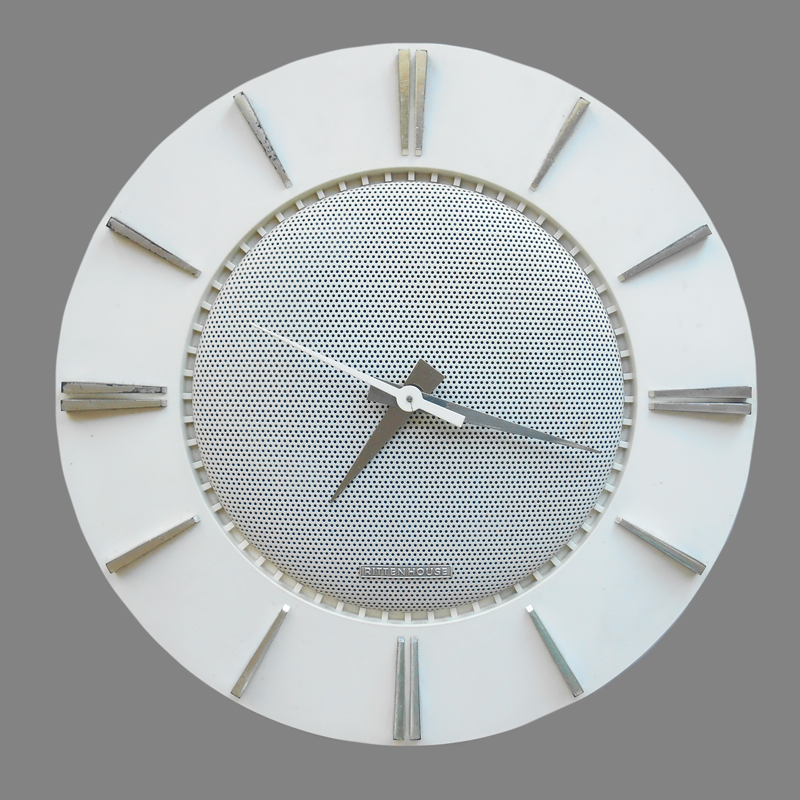 It’s a door chime—it’s clock. Nicely styled and ideal for living room, den or kitchen. 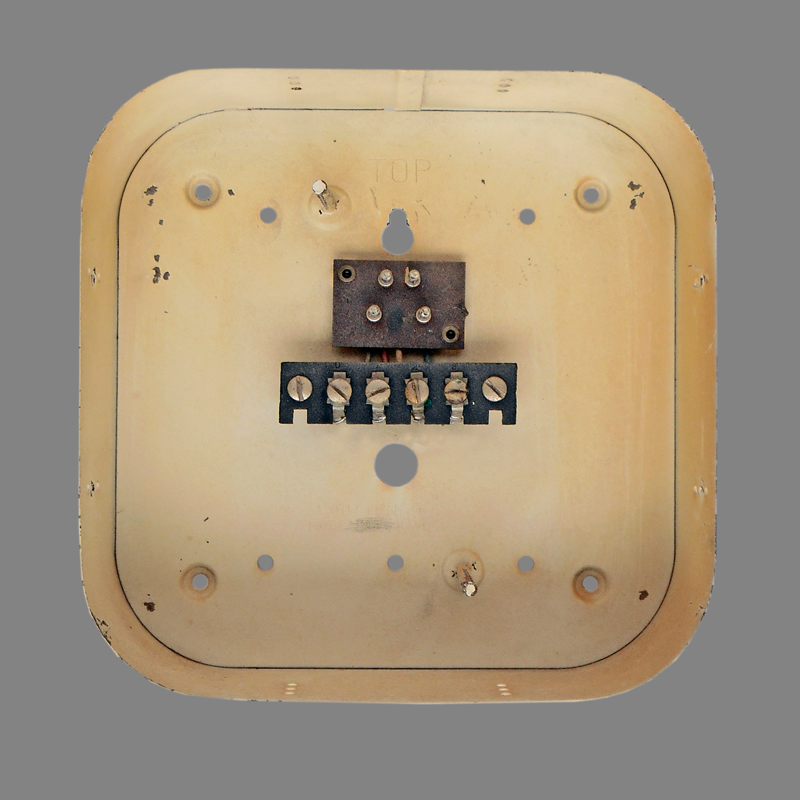 Furnished with a wall box and is equally attractive recessed or mounted on wall surface. Two note front door, one note rear door. 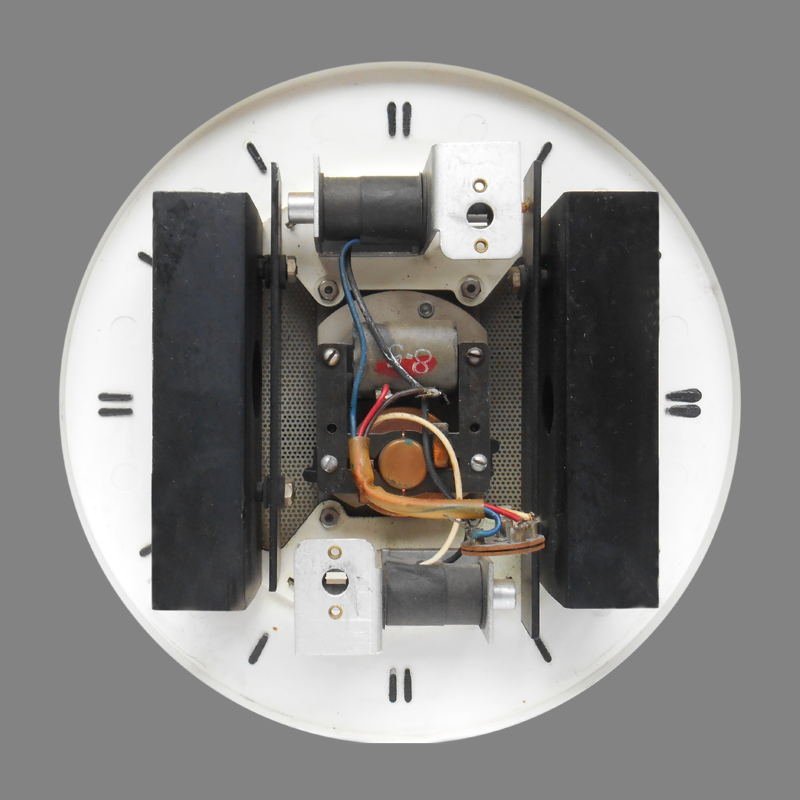 Clock and chime operate from 16 volt transformer. Rittenhouse No. 30 recommended. Finished in copper and black or copper and white. 9 1/4 inches in diameter. 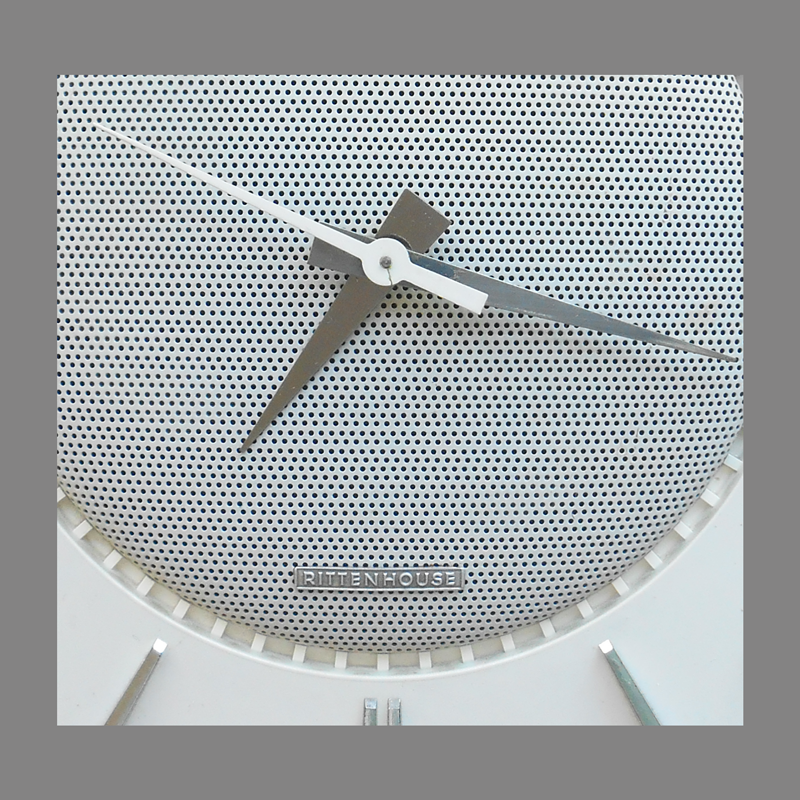 This chime may have been an earlier or later model, as the white on white option is not listed. 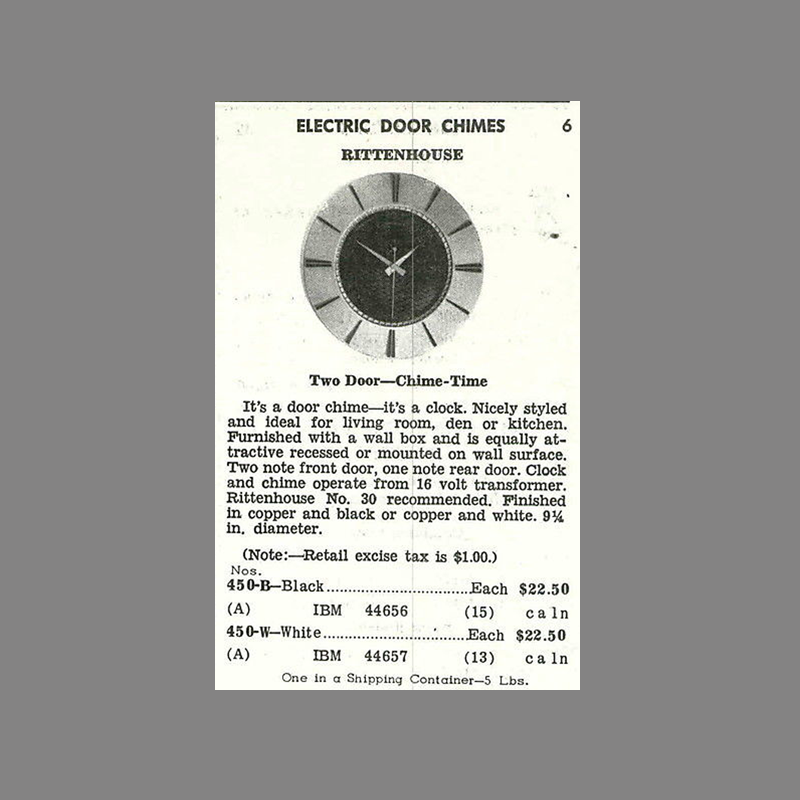 The Chime-Time apparently was short-lived as it did not appear in the 1966 Emerson Rittenhouse catalog. Manufacturer Rittenhouse with Telethcron Clock Motor. Dimensions/specifications 9 1/4 inches in diameter, three 1/2 inches deep including mounting box.